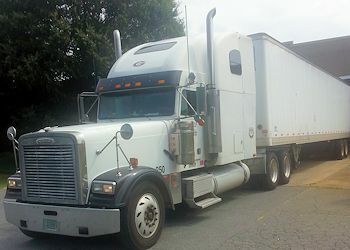 ASAP Trucking currently offers Local LTL (Less-Than-Truckload), Same Day Service, Rush, Expediting, Lift Gate, 53’ Truckload and Dedicated services throughout the metro Atlanta and North Georgia area. 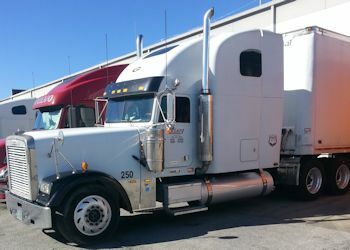 ASAP Trucking services are available for loads up to 45,000 lbs. Call today to get specific rate quotes for your freight. Expediting Direct Service from 1-45,000 lbs ANYWHERE! We are in the wholesale food business. Our business is selling commodities like sugar, starch, salt and vinegar and molasses to food processing plants. I’ve been working with ASAP for 15 years. ASAP handles our local deliveries in Metropolitan Atlanta. They do five to fifteen LTL shipments a week within 50-60 miles of Atlanta. Speed is important, because the nature of people in plants is that somebody started a batch and didn’t know that they didn’t have what they needed to finish it. This week we had a call from an owner of a company that said, “Can you get me one box of nutmeg here in a hurry?” And ASAP put their courier service on it, and got it there. I wouldn’t have been with them for 15 years if they hadn’t performed well. I’ve worked with any number of truck lines over the years. The fact that we’re working with ASAP says they are doing something right. They have good customer service. Rates are reasonable. The communication is good. They are very steady and do a good job.